The context: As Alex Chilton's songwriting partner in power-pop legend Big Star, Chris Bell was an overlooked member of an overlooked band—not an enviable position, considering his ambition and genius. 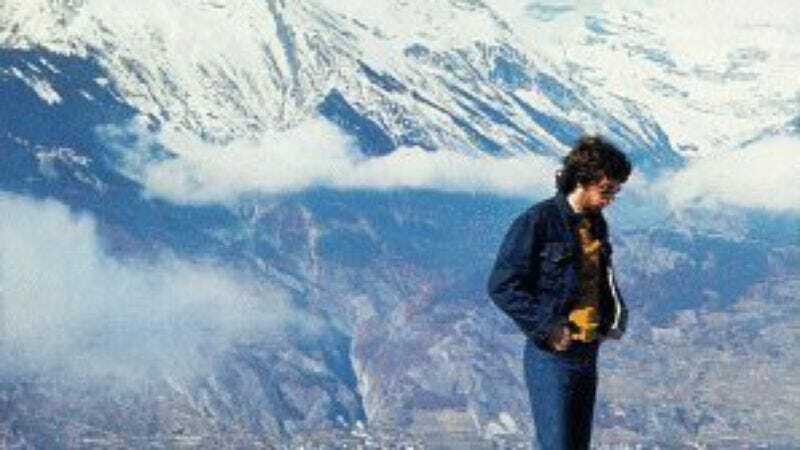 When Big Star collapsed in 1975, Bell—wrestling with his faith, his sexual orientation, and his capsized dreams—retreated to the French Alps to work on I Am The Cosmos, the record he was convinced would make him famous. It never even had a chance to flop; far too raw and erratic for radio, the album was rejected by everyone except the small New York label Car, which released the title track as a single in 1978. Bell died in a car crash soon after. One of the most haunted, enigmatic albums of the '70s, Cosmos wasn't officially released until 1992, when alt-rock's namedropping of Big Star was at its peak. The greatness: Bell is often painted as a doomed pop-poet, but he was much more than some stateside Nick Drake. True, Cosmos is steeped in agony and arpeggios, but it's punctuated by stormy rockers like "Make A Scene" and "I Got Kinda Lost," songs that would've been at home on Big Star's Radio City (or even a Real Kids anthology). At points, Bell seems to be trying his damnedest to beat the letdown and dread that was swallowing his life: The slapdash boogie and barrelhouse piano of "Fight At The Table" masks some weirdly sad lyrics, while "You And Your Sister"—complete with wrenching backups from Chilton—is a brittle, off-kilter ballad that threatens to derail or dissolve at any moment. With Bell's echoing, exposed-nerve vocals and piercingly personal ruminations on matters celestial and sexual, Cosmos is John Lennon's Imagine from another dimension. In Rock And The Pop Narcotic, Joe Carducci calls Big Star's music "pop out of time"—a phrase that fits Bell's solo work all too well. Defining song: On the surface, the Jesus-fixated "Look Up" is one of Cosmos' more forgettable songs—but it stabs deeper into Bell's soul than the rest of the record combined. Buoyed by woodwinds and all the innocence of a Sunday-school hymn, Bell sings, "Look up, look up / You'll see the sky / Look up, look up / He's the life / Waiting to love you / Wanting to reach you" until his voice trembles and cracks in pain. The song's droning quietude bares Bell's spiritual chaos, and shows just how brave he was to commit it to record.